What do I do if I just knocked out a tooth that was permanent? Carefully clean off any dirt or debris from the tooth without vigorously rubbing the tooth, and avoid touching the root of the tooth. If the tooth is clean, you may place the tooth back in the socket. Make an appointment immediately; the sooner we can see a patient who knocked out a tooth, the higher the chances of reattaching the tooth. What if it was a baby tooth? You may follow the same process as for a permanent tooth, but in most cases, losing a baby tooth will not require reattachment. Do not worry about finding the tooth, but if you believe the missing tooth caused other dental issues, make an appointment with us. Keep in mind that it can often be difficult to tell the difference between primary (baby) teeth and permanent teeth, so examine the mouth carefully. 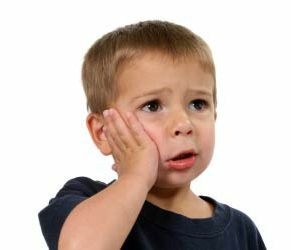 Nova Pediatric Dentistry and Orthodontics has provided more information about what to do if a baby tooth has been lost. What is done to save the tooth? Placing the tooth back in the socket. Splinting the tooth by holding it in place by bonding or wiring. 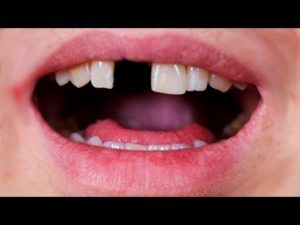 What if reattaching the tooth is unsuccessful? If placing the same tooth in the socket is unsuccessful, we have short-term and long-term option for replacing the tooth. A partial denture, also referred to as a flipper, is a removable replacement option for when not all the teeth in the mouth are missing. An implant is a screw-shaped device that fits into the bone where the prior tooth was located. A bridge consists of crowns and literally bridges the gap in the teeth.